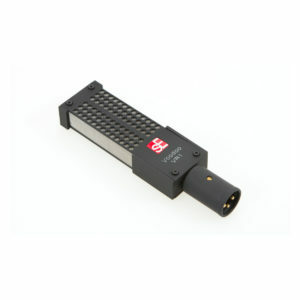 Get a full set of must-have accessories for your sE Electronics microphone with the sE Isolation Pack. 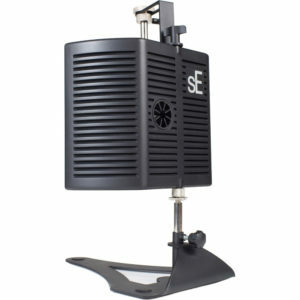 The Isolation Pack includes one of sE’s upgraded shock mounts, which perfectly fits your sE X1, sE2200a II, or sE Magneto condenser microphones. 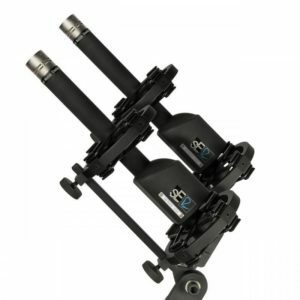 Something the seasoned engineers here at Sweetwater particularly love about this shock mount is the handy quick release, which lets you swap out your mics in a hurry. 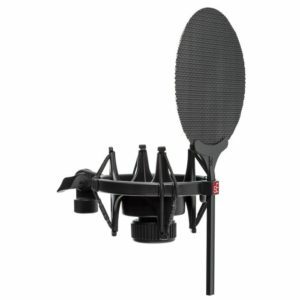 On top of that, the sE Isolation Pack includes an integrated pop shield that packs heroic plosive-blocking power, and it’s fully adjustable to match any compatible microphone. 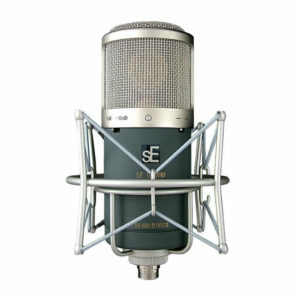 This sE Electronics RN17 stereo pair gives you a perfectly matched set of amazing sounding pencil condenser microphones. 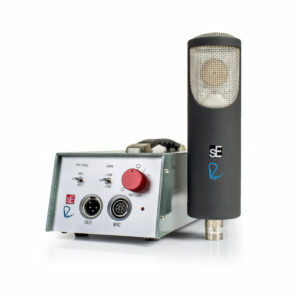 The first sE pencil condenser mic to sport a large scale, high-performance transformer and a slim 17mm gold-sputtered Mylar capsule, the RN17 gives you jaw-dropping definition and detail, delivering lucid transparency, with a silky shine. There are several interchangeable capsules available for the RN17, but this matched set ships with a pair of cardioid capsules, giving you the most common combination of consistent sound and off-axis noise rejection. 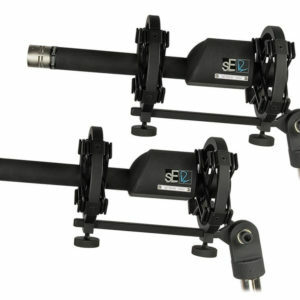 The set also includes a duo of custom shock-mounts and a premium flight-case – everything you need to safely transport your sE Electronics RN17 stereo pair of condenser microphones. As you might imagine, there are a lot of professional audio engineers here at Sweetwater. We all have our favorite gear, from the mics and preamps we love to the DAWs and monitors we swear by. 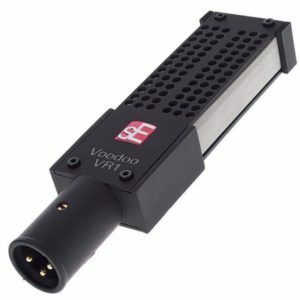 When it comes to ribbon microphones, few engineers are mild-weathered about the subject. Some of us love their transparent performance and incredible detail, whereas others complain about their subdued high-frequency response. Here’s the mic that’s going to end the debate once and for all! 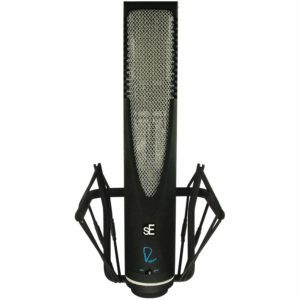 Designed and built by Rupert Neve and sE Electronics, the RNR1 active ribbon microphone is a total game-changer! 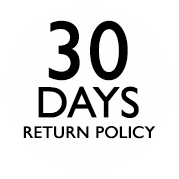 Another first from sE… simple, but highly effective. 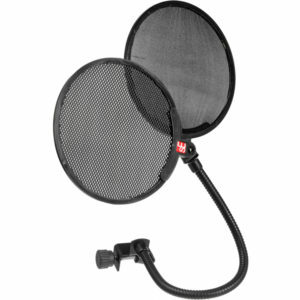 This is a professional solution to the problem of needing different pop shields to suit vocal performances. 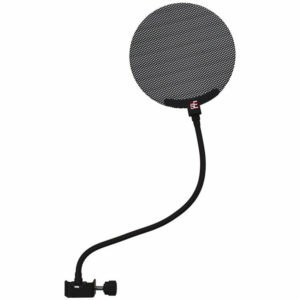 The device has a strong goose neck with both a standard fabric membrane and a pro metal pop shield on a hinge mechanism. 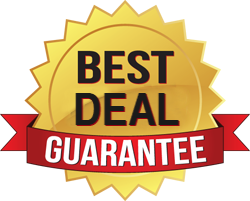 You can use either separately or both simultaneously depending on the application. 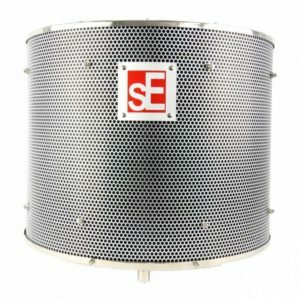 The sE Electronics Studio Studio Mic Pop Screen is a perfect example of all of the advantages a metal pop filter gives you over a standard cloth mesh model. 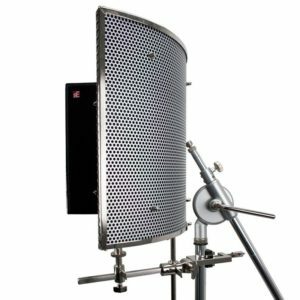 Made from finely perforated metal, each groove in the Studio Mic Pop Screen is louvered to redirect ultra-low-frequency breaths, virtually eliminating the threat of plosive pops. But that’s not all. 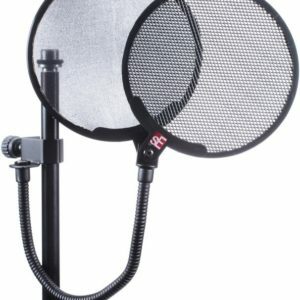 At the same time, the sE Studio Mic Pop Screen doesn’t affect high-frequencies the way cloth pop filters do, never dulling your sound. 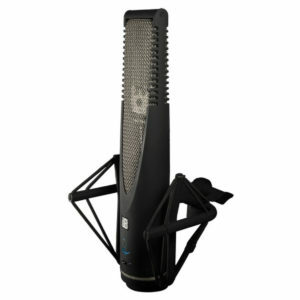 And since its made of metal, you can rest assured that your sE Studio Mic Pop Screen will last for the long haul.